From Sasha, the Ragdoll Cat & her family: Thanks so much to Nicole from Precious Furs for the extra-special patience and loving care she showed to Sasha, who doesn't like combs, clippers, baths, blow-dryers, nail trims, being touched on her underside, or car rides. From Jack & Morgan, the ShihPoos & their family: Nicole did the BEST work on Jack and Morgan ever! It's been six weeks and they still look great. From Winnie the Cockapoo & family: Thank you for always doing an amazing job on Winnie. We would never take her anywhere else! From Lucy, Colby & Mia, the English Bulldogs, & family: I learned about Precious Furs because I was searching for a groomer who would come to my home. I have two adorable bulldogs, Lucy & Mia, who have not done well in a hectic, noisy, and chaotic grooming environment. Lucy was previously bitten by another dog, and she is fearful of other dogs and strangers. It was also very hectic to have to get them both into the car, take them to the appointment, and then wait SEVERAL HOURS for them to be ready to go. The first (and last) time I took Mia to the groomer, she was so afraid of all of the commotion, she threw up when they turned the dryer on to dry her. She had to be bathed again. It was horrible! I called Nicole and she came to the house. Lucy, who is very nervous, took to Nicole like they were old friends. I was really impressed with the state-of-the-art trailer she was using to groom the dogs. It is beautiful! Not only is it gorgeous, but it was heated for the chilly months, and air conditioned for summer! More than the trailer, I was more impressed with Nicole. I knew that her love for animals made her the perfect person to groom my two "special" bullies! i knew I would never go anywhere else! Why would I? About two months ago, I learned that the rescue I do some volunteer work for, needed someone to pick up a bulldog who had been surrendered. I live near the shelter, so I went to pick up a senior bully named Colby. Colby was in really, really rough shape! His fur was falling out in patches, he had a skin infection, an infection in both ears, dry-eye, and an infection in his left eye. He also had cysts and numerous other problems. He was also FILTHY. His poor ears were caked with wax and yeast. I knew before I could do anything for him, he needed a BATH! I immediately called Nicole and asked her if she could come over and clean him up. She came by that evening and gave him the royal treatment. From his ears to his tail, he was gorgeous and really relieved. I am sure he hadn't had a bath in over a year! I'm convinced that having Nicole give Colby the spa treatment was a key to helping him heal until he could see the vet, and stopped his ear & skin infections from becoming more serious. Nicole's compassion, kindness, enthusiasm and love for her customers and their pets is truly remarkable. I recommend her to EVERYONE, and all of my friends who use her rave about her too! I am so thankful I found Nicole & the Precious Furs Mobile Pet Spa, and you will be too! From Kailua & Kona, the Coton de Tulears & family: Thanks again for the great job you did on our pups! They look great, Karen is happy, and even the pups are walking around proud! We are so glad we found you! Aloha! From Amica the Yorkie & family: It was wonderful meeting you today and to introduce Amica to her first spa experience. I am so glad that I found Precious Furs. You provide a high quality service! Thanks again! 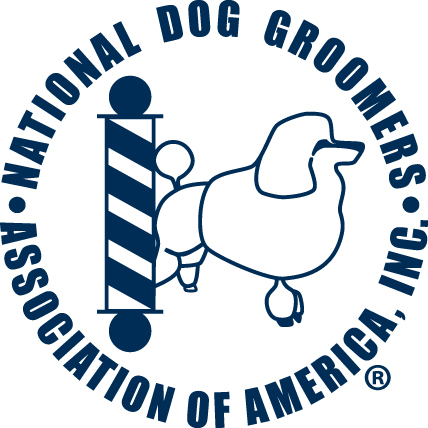 Ready for the best groomed pet on the block? or click on the "Contact Us" link to send an email.